Lady Garvagh (d 1926), née Florence Alice de Bretton. Sitter: Lady Garvagh (d 1926), née Florence Alice de Bretton. Biog: M.B.E. (1918); daughter of Baron Joseph de Bretton, of Copenhagen; m. (1877) Charles John Spencer George Canning, 3rd Baron Garvagh. 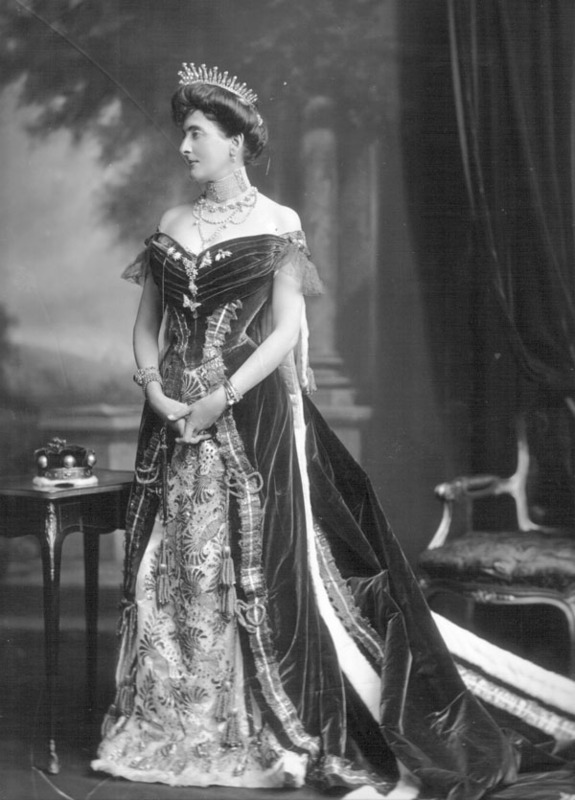 Costume Supplier: Madame Roche, 29, George Street, Hanover Square, London, W.
Biog: Burke's Peerage; The Times,c. 17 May 1926 [ck]. Reproduced: (version) The Throne and Country, 14 June 1911, p 39.